Former Republican Congressman and Presidential candidate Ron Paul has learned the hard way why it is so important to register your own domain name. 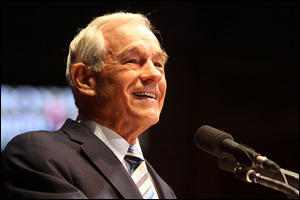 The domain name RonPaul.com has pointed to a website promoting Congressman Paul’s political causes and career for years, but the domain is not owned by Mr. Paul himself. Instead, it is owned by a friend of one of his political supporters, and that man is refusing to hand over control of the domain to Mr. Paul now that his political career has apparently come to an end. Chances are you use the Windows Task Switcher utility by pressing Alt+Tab in order to scroll through a series of thumbnails representing all the open windows, then switch to a different task. If so, you are probably aware of how difficult it can be to find the task you want to switch to if there are more than just two or three windows open. A while back I began using VistaSwitcher, a free replacement for the Windows Task Switcher, and it has turned out to be a major timesaver! I usually have over a dozen windows open at once, and VistaSwitcher makes it easy to quickly find the one I want to switch to and get me there in a jiffy. Q&A: How do I run the Group Policy Editor (gpedit.msc) on Windows 7? Question from Alex G.: Hi Rick. Love this site and all your tips!! I hope you can help me with a problem I’m having. What am I doing wrong? My computer is a Dell laptop running the upgrade version of Windows 7 Home Premium. It originally came with Windows Vista. Do you ever have guests over to your home who ask to access your secure Wi-Fi connection? Depending on the guests, it can be a little uncomfortable handing over the password to your Wi-Fi network. Well, now you don’t have to if both you and your guests use Android devices. Android devices the world over are becoming infected at an ever-increasing rate with a strain of malware known as “NotCompatible”. Although NotCompatible has been around since May 2012 it has only recently started spreading quickly in the wild.